At the turn of the millennium, Barcelona was in the grip of a rave scene so disturbingly visceral that even the Mossos turned a blind eye and let the locals get on with it. Today the city’s nightlife is undergoing the uncomfort­able transition from wild infancy to disciplined youth. Those same Mossos have seized control by cleaning up spontaneous parties and relegating fun to clubs. Many mourn the loss of unbridled hedonism that once defined our weekends, while others have fallen into a deep house club-coma. But tighter limits produce creative solutions. And late last year, Awkward arrived. “We look to do more with less,” says Finch, one of the DJs working in this interdisciplinary collective. A tight-knit group of six French and Irish friends – Finch, Médé, Nalc, Krob, Anthon and Nico (aka Quality Meat) – were brought together by their shared passion for homemade techno music with reduction at its core. 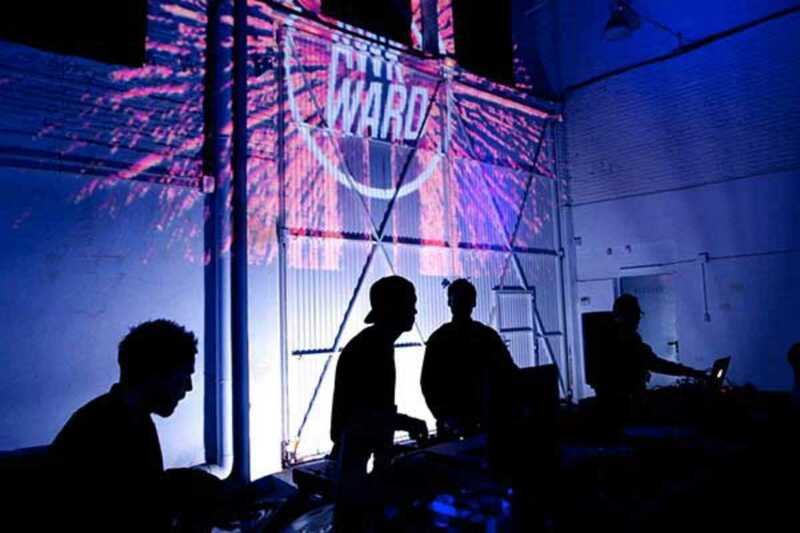 Per­forming together in different cities for almost seven years, in November 2013 they held the inaugural Awkward event in Poblenou. “That’s where techno music belongs – in the industrial areas, on the edge. All that sound and energy needs space to breathe,” Médé says. Scouring the empty streets for Awkward’s secret location sparks an excitement familiar to old-skool ravers, yet the sharply designed card invitation lends an air of club VIP. With such a limited capacity of 250 people, it definitely feels exclusive. Wandering in, I take in a non-descript warehouse that opens into an im­maculate white space. Arresting visuals contort in tune with the dark pulses of sound, echoing through the rafters.